It’s grown into something wonderful and people are still starting out now. I have no idea exactly how many blankets are being made but it’s in over 25 countries around the world and my blog statistics tell me that many thousands of people have viewed the patterns so far… just amazing! So we begin our very last week mirroring the same rows we started out with back in January. So at the end of Row 153 you should have joined with a new colour and made 3ch which counts as the first tr (US dc) of this next row. And remember it’s UK terminology. Row 157 1tr in each st to end, fasten off and weave in all those ends! And now it’s all about the edging for our blankets… I posted about them a few weeks ago here and said that as every blanket is so unique, our edges and borders can be whatever you want! The possibilities are endless… if you feel confident crocheting a border that you like then just go for it! So to do this edging join the yarn into any row end with the wrong side of the blanket facing you and make 1ch. Round 1 Go around the whole blanket working dc (US sc) stitches into the row ends evenly up the sides, and 1dc in each st at top and bottom of blanket. Along the sides I crocheted 1dc into the dc row ends, 2dc into the tr row ends and 3dc into the shell row ends but see how the stitches go and make more or less if needed for your blanket. The key is to crochet evenly around and remember to crochet 3dc into each corner. When you get to the first ch, join the round with a slip stitch, 1ch, turn. Rounds 3 – 4 Repeat Round 2, at the end of Round 4 fasten off and weave in ends. This is worked with 3 Rounds exactly the same as for the fluffy yarn above but we crochet Round 1 with the right side of the blanket facing you. Join the yarn into any row end with the right side of the blanket facing you and make 1ch. Round 2 1dc in each st around working 3dc into each corner st, ss to first ch, 1ch, turn. Round 3 (Miss 2 sts, 5tr (US dc) in next st, miss 2 sts, 1dc in next st) and repeat all around, remember to crochet 3dc into the corners, ss to first ch, fasten off and weave in ends. I’m also keeping the Facebook group open so do keep sharing on there too… as well the hashtag #seasidestashbustingblanket over on Instagram. Thank you so much for reading to the end of this extra long blog post! And thank you for being a part of this wonderful experience with me… 😊❤️ It really has been wonderful purely because of you lovely people crocheting along! Next Post: See you at… Yarndale! It’s been great fun trying to keep up. Only one more week for me. Thank you so much for all your hard work. I can’t believe it’s finished even though I finished my baby sized version a while back I still enjoyed seeing everyone’s progress each week. The blanket looks fantastic! I’ve enjoyed watching it grow and also watching others’ scrappy afghans grow. The color possibilities with something like this are endless, so have fun seeing all the variations on your CAL! I have loved the journey. Thank you! Eleonora, how exciting that you’re going to Yarndale! I am sure you’ll have a wonderful time and I betcha lots more people will fall in love with your blanket. As for me, I have just ripped out the same row for the fourth time. Apparently counting to 180 is beyond me. Thank goodness I didn’t decide to make a king size! Have fun at Yarndale! I’ve enjoyed the journey of this blanket although I have yet to start, and it’s been fun looking at all the different colors people used. The photos of you by the sea are lovely, I especially love the one with you and your dog, he is looking at the camera in such a funny way! Thank you so much for sharing your knowledge and talent with the world, you’re one in a million! It is a joy to see all these beautiful blankets! Well done on this wonderful project. Thank you so much for this pattern. I have made 3 now in varying sizes. My big one is huge because I just didn’t want to stop and had to force myself to do so but it is lovely to snuggle into. What a wonderful ending to such a fun beginning. 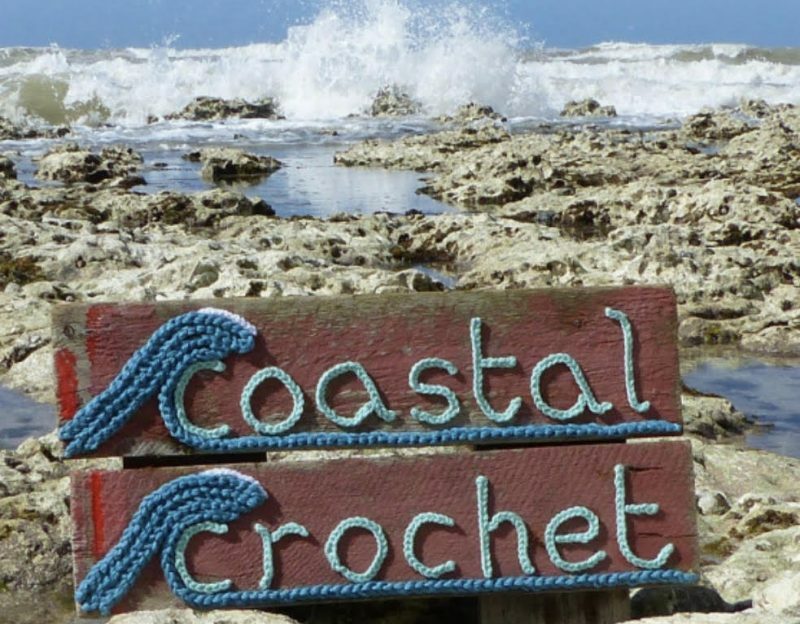 Watching from the sidelines was a fun experience and am awed by how it brought the crocheting community together. Well done! Love the blankets my favourite one is the far right one on the top row of the collage. Saw it on Facebook but can’t find the pattern for it. Wondered if you could help as I would love to make it. this will be the next project I want to start! Turned out very pretty 💜, but I have a question. What if I want to make the blanket a bit more wider? Is there a formula for the chainstitches like multiples of x plus x? I’v finished, yay. I never crochet before, but now all those stitches I’m so pleased. Thank you for a great CAL, really have enjoyed it. Hello!I found your project on Instagram and fell in love with this project. I will soon begin a crochet a long blanket with a couple of friends but I need some advice: with a number 4,5 (Europe) crochet, which sizes of yarn can you use? Thanks a lot! Your ideas are making my day wonderful. What a gorgeous blanket and a wonderful post.